Yes, we are still doing our school work! Still, we have been quite busy in the afternoons and evenings making Christmas crafts. We started out with soap and bath bombs. 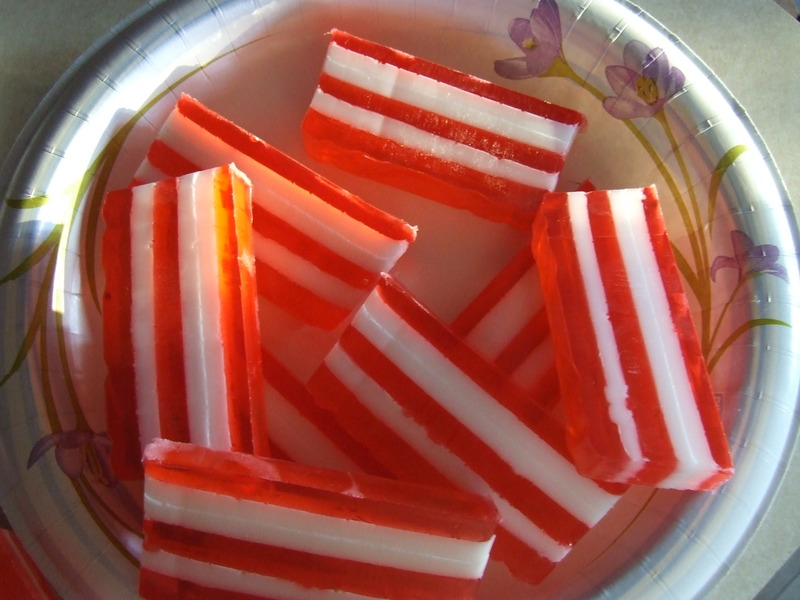 Thanks to Martha Stewart’s fabulous website, we used up a lot of our melt and pour glycerin soap making these candy cane striped and peppermint scented loaf-pan soaps. We had a little glycerin left over so I added lavender and chamomile scent, some lavender blossoms and blue coloring to it then poured into our snowflake mold. Aren’t they adorable? 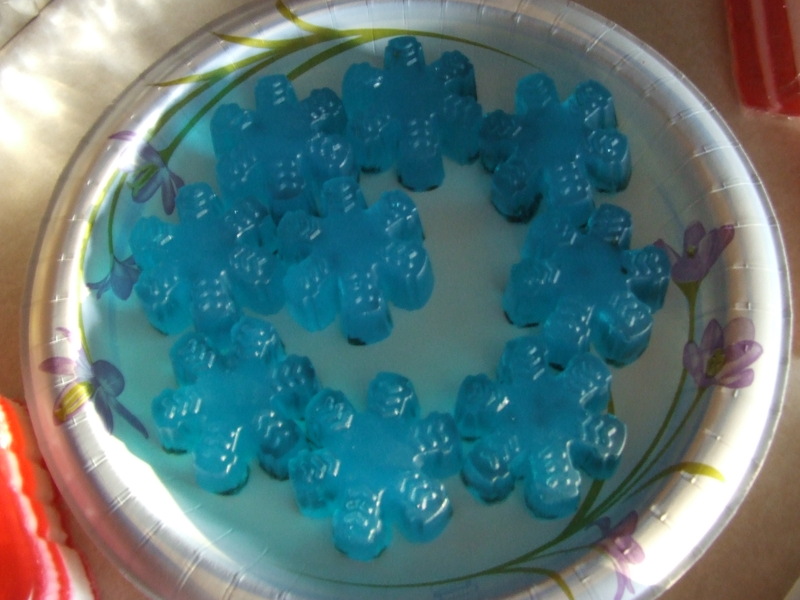 Now, got to go start that blueberry cordial! What are you crafting this year? Just in time to be too late, here’s our salt shaker menorah. It cost $5 for the salt shakers at the dollar store. We painted them with glass paint which was already in the house. The tapers were 2 for $1 and we cut out shapes from our modeling beeswax using very small cookie cutters. I think the end result is pretty cool. 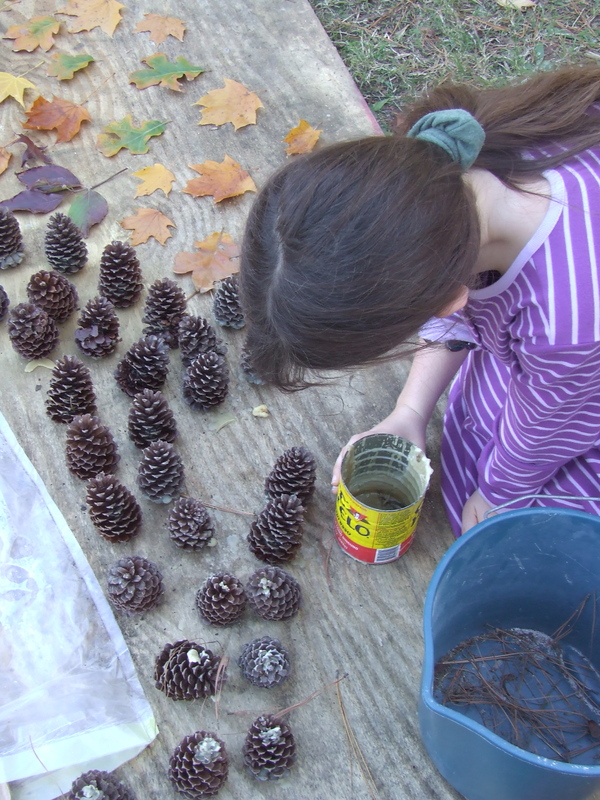 Finally a calm, sunny day when we could get outside and melt wax for a fun fall craft. 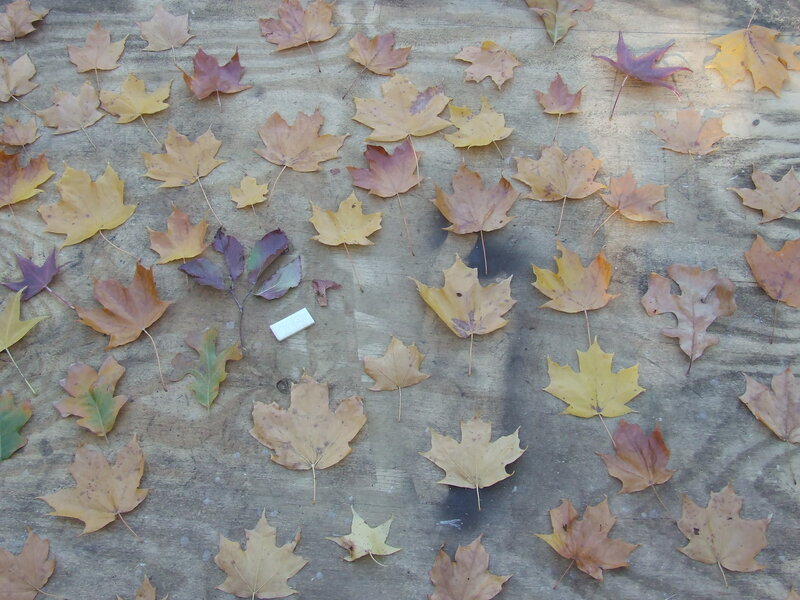 We walked around and picked up the prettiest of the leaves from our yard (we have PLENTY of them! ), grabbed our bucket of nicely dried pine cones and got busy. 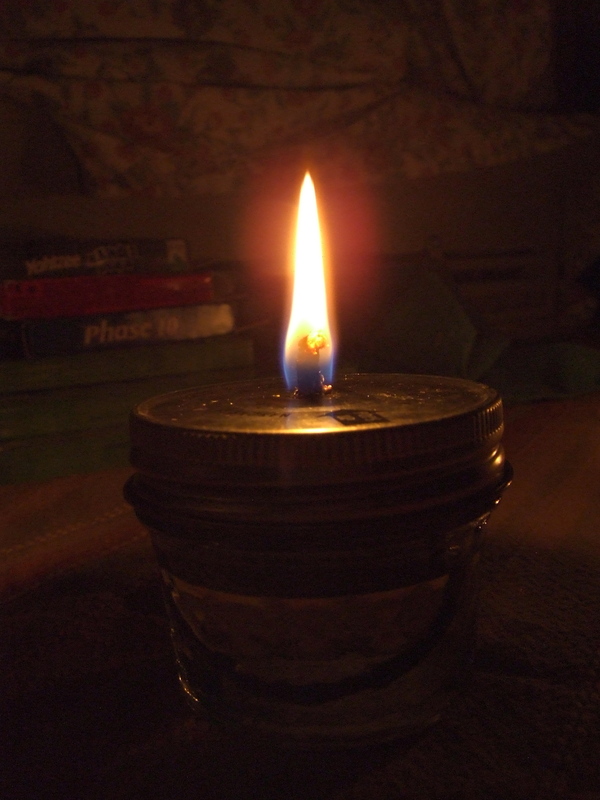 First I put about 4″ of water into an enamel pot that is a sacrificial craft pot. Then we grabbed our beeswax, a small coffee can and a fondue fork and started melting the wax. The coffee can and pot work as a double boiler. We could have a better set-up but we don’t, so we just go with what we’ve got. 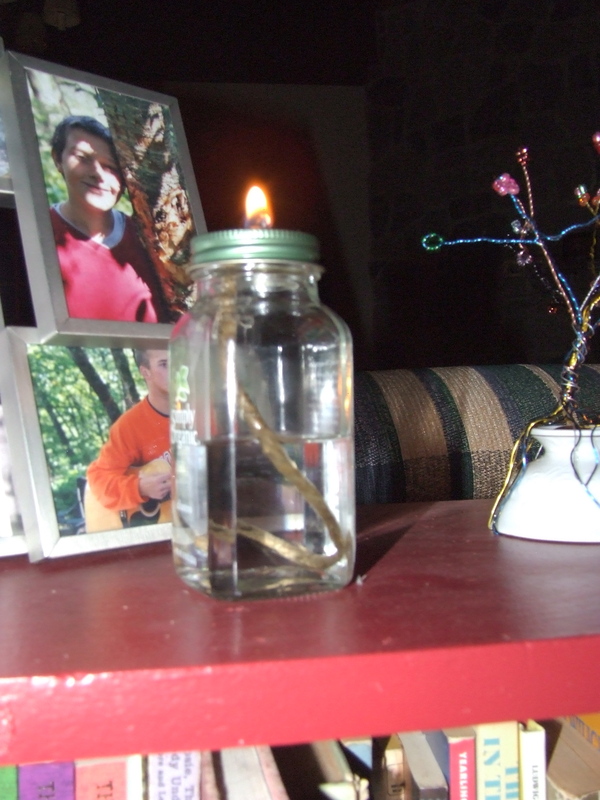 Once the wax was melted we started dunking the leaves into the wax. We held the leaves by the stems which is easy with the maples because they have nice, long stems. The oaks I did because they have short, stubby stems. 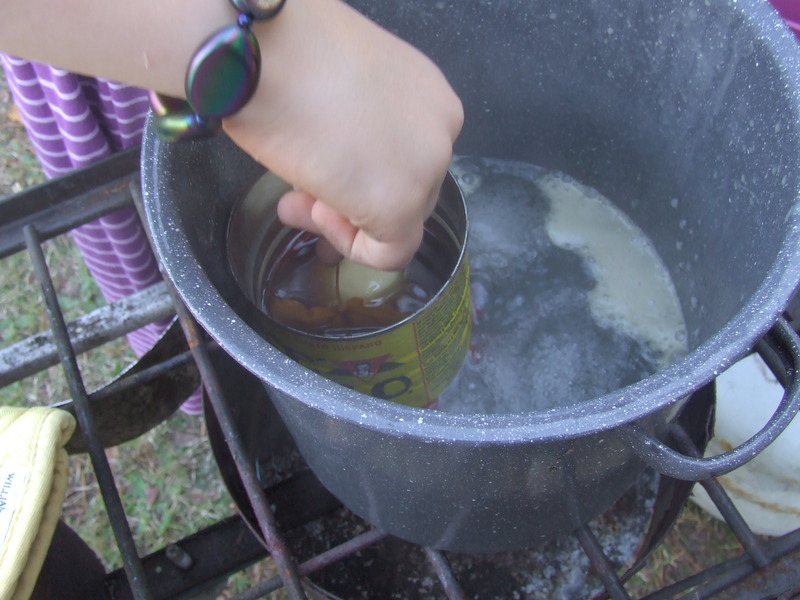 We dunked, shook gently over the can then more briskly over the grass and then laid the leaves out on a piece of plywood so that the wax could harden. The pine cones came last. I took the coffee can out of the pot and sat it down on the plywood. Minerva dunked each cone into the wax and put it down. 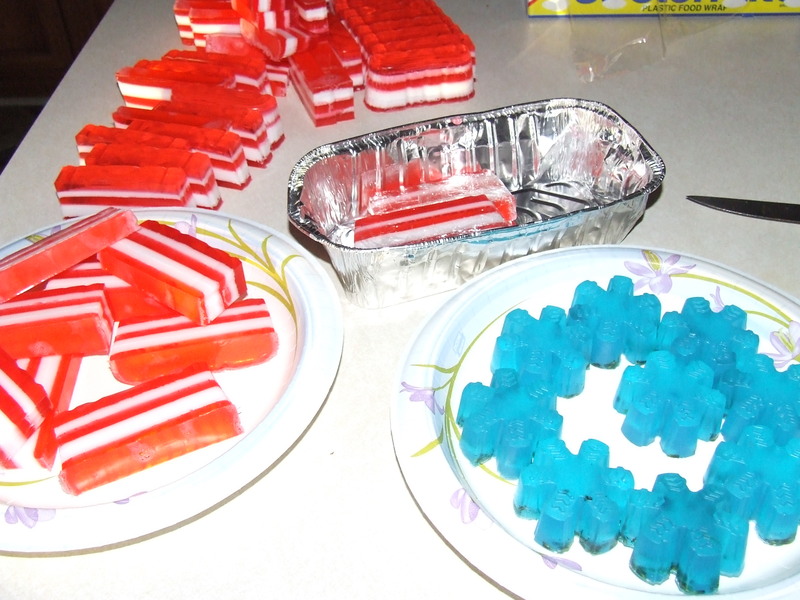 When all had been dunked, I poured the last of the wax over the tops of the cones which needed it most. I’ve never tried these before as fire starters and am curious to see how they work. 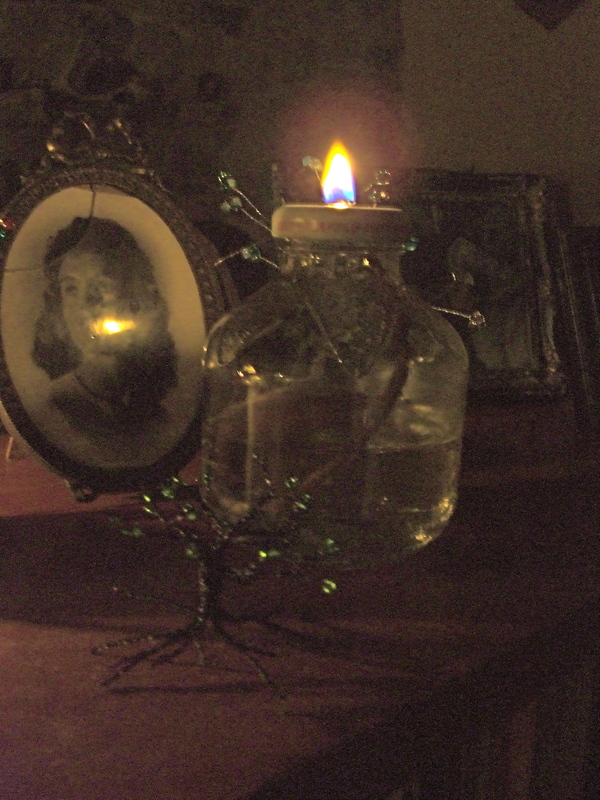 I am hoping that the wax will slow the burn down a little bit and that will give our logs more time to light. While we were working a big, bald eagle flew up and roosted in the pine tree just above our heads. It was being harassed by a bunch of crows. We stared at it until it flew away again. Beautiful bird but sadly I did not yet the camera outside. We’re going to use the leaves to decorate our Thanksgiving Day tables. We’re having a house full and are excited to cook and decorate and feed everyone. A (sort of) local homeschooler is offering several interesting craft classes and when I saw her ads, it was a given that we would have to support her efforts and take advantage of the opportunity to learn from an experienced crafter. I signed Martina and I up for the Twining class and one in which we will make our own knitting needles and dye some yarn. We were nervous and excited as we drove about an hour to our old hometown for the Twining class. Needlessly nervous, it turns out and deservedly excited. The class was wonderful. Milissa, the instructor was (or should I say ‘is’) charming and welcoming. We brought old sheets and sharp scissors. 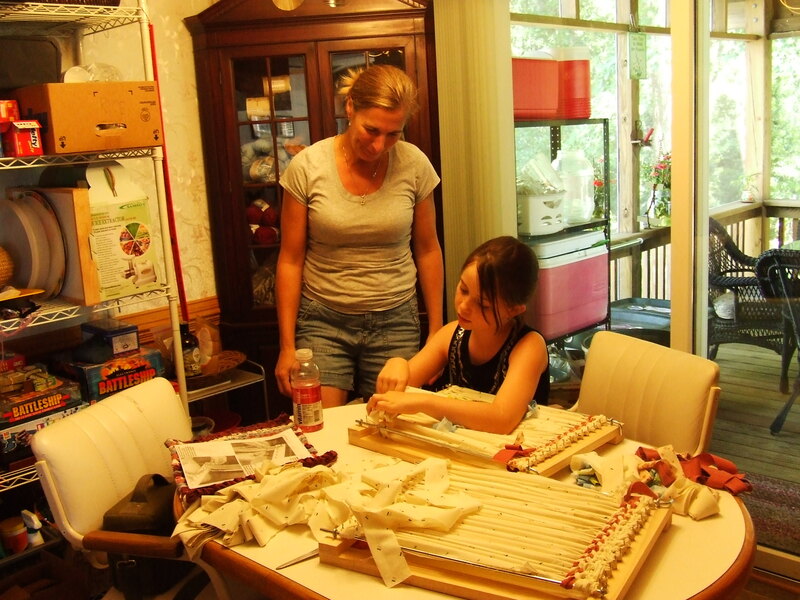 Milissa makes and sells peg looms in two sizes: one for placemats and one for small rugs. 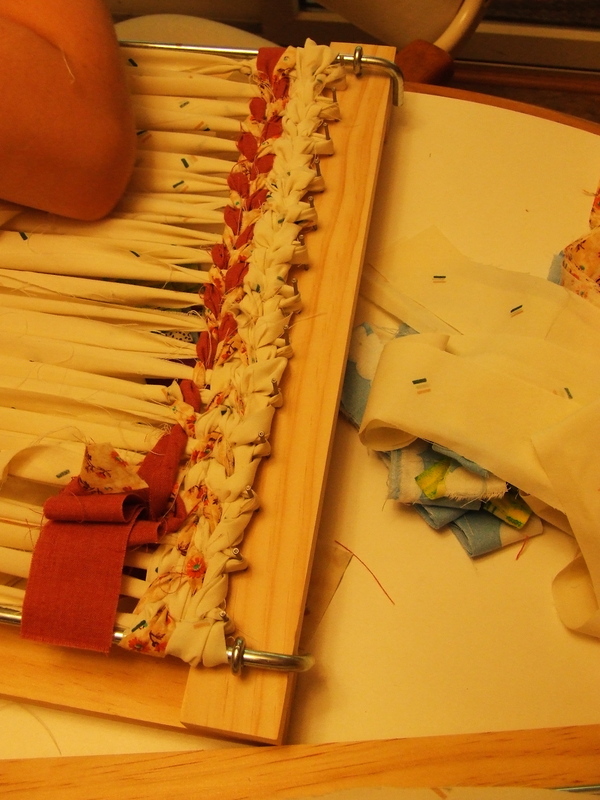 A placemat sized loom was included with the class fee. 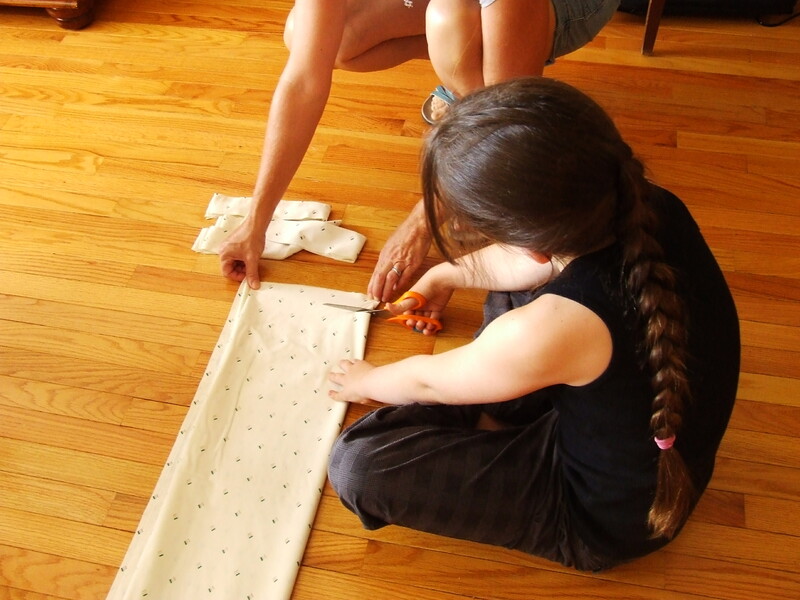 The first thing we learned to do was to cut the warp, which is the base of your weaving. Martina cut until her little hands were tired and then I took over. Milissa explained how thick the strips should be and how to fold the sheet and why it’s good to use neutral colors for this portion. 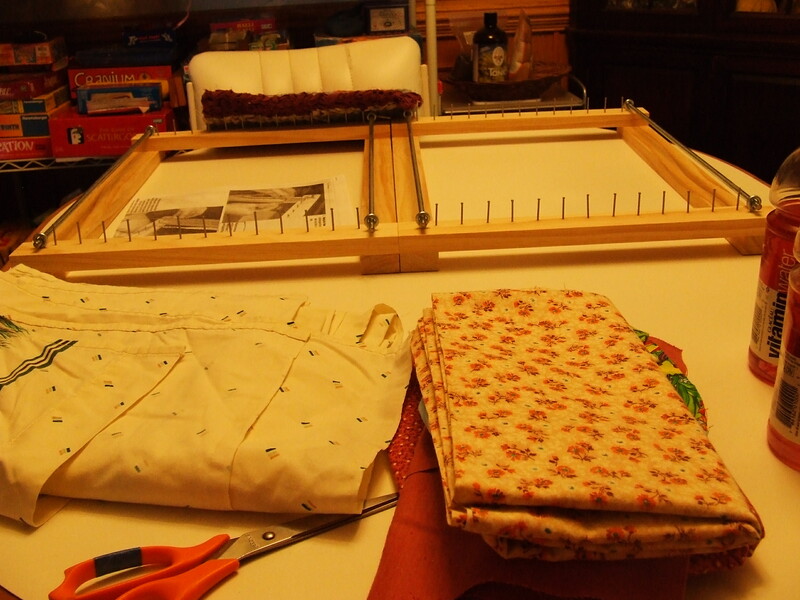 We then collected our warp materials and scissors and headed over to the table where the two peg looms were waiting. Once we had warped the loom, we cut more fabric strips for the weft and Milissa showed us the technique for beginning the weave, how to go around the ends and how to attach pieces so that you don’t have a million little ends poking out. This part was fun! Martina and I immediately became obsessed with our fabrics and the way they looked as we wove them into the future placemats. Just the two of us were signed up for the class. I really enjoyed that Martina had a lot of one-on-one attention from Milissa so that I could focus on figuring out what I was doing and not have to worry about teaching and learning at the same time. 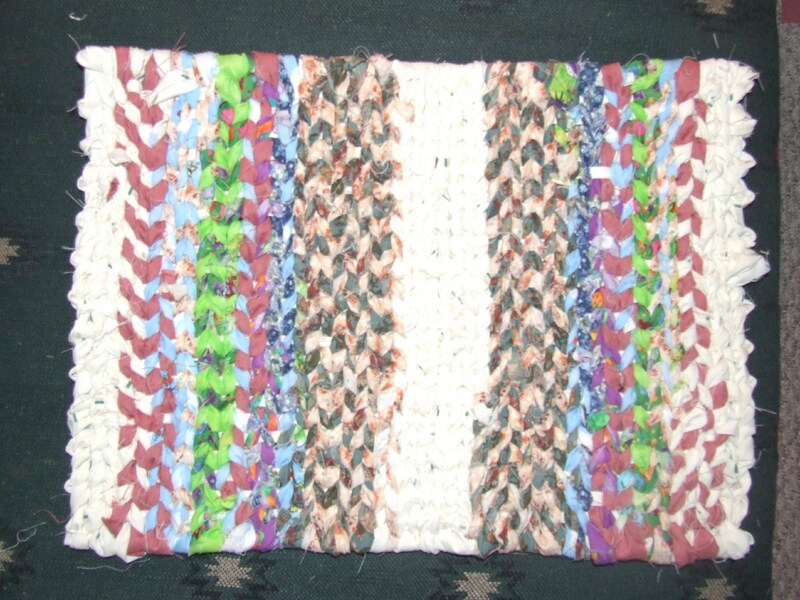 We had a ball learning this form of weaving, called twining because of how you lock each piece into place by twining it around the piece next to it. Weaving and learning about textiles in general is part of our study plan for 3rd grade. This class tied in wonderfully and also gave us the opportunity to meet a lovely new friend. We are looking forward to the next class very much!